It started in Brussels, but it was not until a few days into cycling in Normandy that it dawned on me. 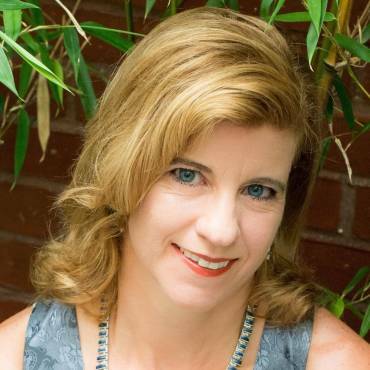 I was relaxing and experiencing an unnatural sense of lightness in the busy cafés. I leafed through the obvious reasons. I am on vacation, enjoying my favorite sport and traveling in a French-speaking world. Yet, I knew that was not at the root of it. This sensation had not occurred while I was traveling in Thailand or in Canada. One evening while dining at a small restaurant on the main square in Veurne, Belgium, I observed people a little closer. Of the outdoor tables seating 15, I could not spy one cell phone. Groups of fours and often eight people chatted in quiet dialogues or noticeable laughter. All these thoughts brought me back to my undergraduate days studying Cicero, the Roman philosopher and politician, who wrote in 44BC that good conversation requires “alternation” among the participants. Approach a French café and voilà, proof that Cicero was correct. People — young and old — talking in a pattern of exchanges, with questions, interruptions, expressions of agreement or not, discussing a topic with interest lasting more than two sentences. The following evening, my husband and I enjoyed our first experience staying at a gîte de France in Fillièvres with a table d’hôte. This is comparable to a small Bed & Breakfast with diner offered for an additional fee upon the guest’s request. Our hosts, Eloisa and Antoine, prepared an excellent meal of French onion soup, Andouillette sausage with roasted locally grown vegetables, salad, a selection of local cheeses and a homemade apple crumble served with regional wine. The tradition calls for the hosts to share the meal with their guests. The other travelers who hailed from Belgium, Michel and his wife Anne, also joined in. The meal started at 8 p.m.
Antoine spoke mainly French, my husband mainly English and each couple communicated with each other in a different language: Spanish, English and Flemish. We first spoke of the food being offered by our hosts. From there the topics meandered from other regional foods to areas to visit but we quickly began sharing stories of our hobbies, families, travels and anecdotes as if we were long-lost friends. Not once did the conversation wane. When the clock struck midnight, we all looked at each other in surprise. Where had the evening gone? We continued our tour to a few stops, including Abbeville, Dieppe, Veules-les-Roses, Cricquebeuf-en-Caux, Honfleur, Bayeux and St-Malo. Whether in a little café, on a street corner, at a formal restaurant or especially at the bakery, people of all ages were talking to one another. People carried cell phones, but they were tucked away in a handbag or a coat pocket. In a month of traveling, I could count on one hand the number of times I heard someone interrupt a conversation to answer their phone or send a message. I was too curious to be embarrassed while listening to their conversations. In Beuzeville, I heard a daughter in a strongly worded discussion with her father regarding her wish for a better grade horse for the next competition. The mother and the brother took part, at times agreeing with either of them. There were bursts of laughter, frustrations and heated debate with rare silences. In Fécamp, the crowd at the bar-restaurant was noticeably in their early twenties. Most of them had gathered after work for an “apéro” before heading home. Not one cell phone in sight. I found this remarkable given that the bar advertised free Wi-Fi. The chatter bounced mainly around social concerns. Friends discussed weekend plans, other friends, movies and music. It was a group affair, no one dominated. It was refreshing to hear actual discussion of the movies rather than YouTube. Well, Turkle should come to France and see how people here show their humanity through their constant gabbing. She would quickly observe that the French are at ease with showing how “supremely human” they are. This includes the Parisians. Even this cosmopolitan crowd prefers to engage in person rather than reach for their cell phone. There is a reason why someone can sit in a restaurant for an hour after they’ve finished a meal and not be rushed to pay “l’addition.” Everyone expects conversation to linger on for a good while. 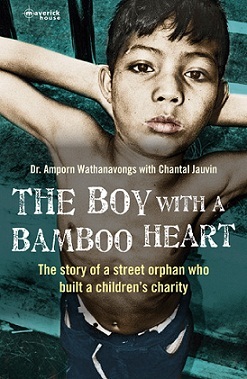 Chantal Jauvin is the author of The Boy with a Bamboo Heart, which will be published in October.